The Marion Ownbey Herbarium (WS) is a collection of nearly 400,000 specimens of vascular and nonvascular plants and lichens. The Herbarium includes plants from around the world, although those of the Pacific Northwest, Northern Rocky Mountains, Great Basin, and California form the majority of the collection. We recommend visitors contact Herbarium staff prior to visiting. To make arrangements for visits, please call 509-335-3250 or email cas.herbarium@wsu.edu. Herbarium staff assist researchers by making specimens available, acquiring specimen loans, and curating new collections made for research projects. The Herbarium is available for educational uses, and tours for university classes or other groups can be arranged. 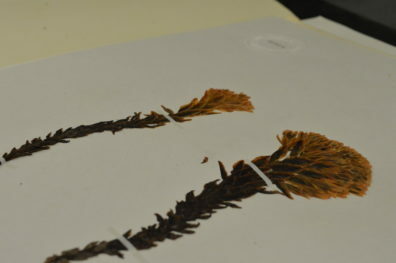 Herbarium staff can assist in plant identification and provide botanical information.